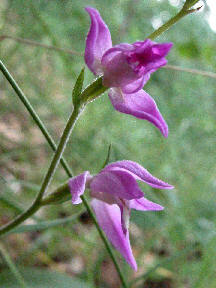 These orchids grow in or at the edge of desciduous, seldom mixed or evergreen, woods, usually in calciferous soil. 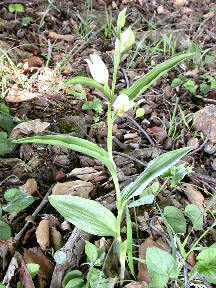 There are two other members of this group that grow in the Eifel: Cephalanthera longiflora and Cephalanthera rubra. 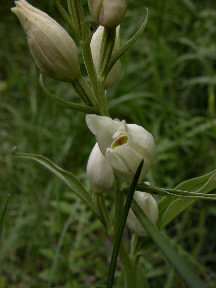 In 2009 I was lucky enough to be shown where 4 C. rubra plants grow (see below). I am still looking for C. longiflora and hope someday to add it to my collection. 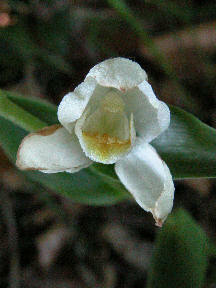 Since the white helleborine is usually selfpollinating, it is rare to find flowers that are completely open like this one. 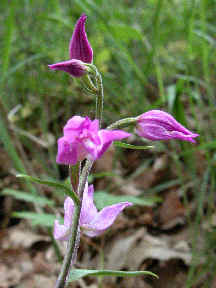 These orchids grow in or at the edge of desciduous and mixed woods but prefer beech woods, usually in calciferous soil but occasionally in sandy soil. 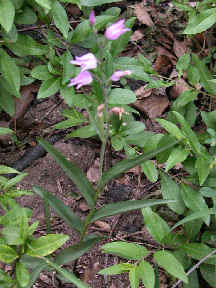 Like many orchids the seeds of the red helleborine do not contain any nutrients; seedlings develop only after a root fungus invades the seed.